This first third of 2018 is proving to be an insane time for groups coming back from the obscure voids of space to which they had retreated, and the angular prog-tech-death madness that Augury specializes in is the latest example of that trend. Prior to the March 30 release of the band’s upcoming album Illusive Golden Age, the gap between their previous two releases Concealed and Fragmentary Evidence was a little under five years. When Illusive Golden Age sees the light of day via The Artisan Era, that previous gap will have been eclipsed, as Illusive Golden Age comes sailing in at a little under nine years since Augury’s last disc. Through Illusive Golden Age’s eight songs, Augury basically pick up right where they left off. By the opening notes of its title song, there is absolutely no need to make guesses about whether this is an Augury disc or not — everything is served up on an incredibly dense plate from moment one, and from there Augury zig-zag through an increasingly complicated obstacle course, purpose-built to leave its listeners with the equivalent of auditory whiplash. Illusive Golden Age has Augury packing as much as they feasibly can into a forty-five minute tour through everything they can throw at us. Most of the time the music sticks to the group’s trademark hybridizing of genres, to the point where describing them would probably take longer than listening to the music itself. Their music is an adventure, one that while seemingly smooth, has a vast collection of angular features and different tentacles grasping ever outward, finding new ways to bend their instruments down increasingly strange pathways. In fact, the times when Illusive Golden Age really starts to surprise are the times when Augury actually sound a little conventional. To understand how the conventional moments can be the most surprising on an Augury disc, you have to familiarize yourself a bit with the way Augury do things – although given the significant gaps between albums under the group’s name, the opportunities may have seemed rare. A lot of talk, especially here, and admittedly largely by myself, has been dedicated to how the songs are structured; how they ebb-and-flow; what they might “look like” if one could visualize audio (more often than not, the shape of a perfect sphere with the occasional prong poking out); and what the experience of a song is like, often compared to an action being inflicted upon the listener. Heavy metal tends not to let its listeners drift or patiently search for adventure, instead hurtling and throwing them around by force, surgically attacking or just going for the sheer brute-force blunt approach, but often, metal is both sides of the same extreme. Augury falls into this by being the musical equivalent of a landslide. You briefly hear it coming as a song builds up quietly, but with a rumble in the background, and then suddenly a torrent washes over you and sweeps you away with it. Humongous walls of sound tumble over each other, part after part rumbling downhill and out of existence as they topple in succession, and vocalist/guitarist Patrick Loisel swapping between a variety of different vocal styles — mostly a very bass-heavy low, but also including something of a demented pirate’s sea shanty — as if a harbinger of everything falling over you at once. That is how Augury most often write their music. The band take an everything-at-once approach, and it results in incredibly dense, thick songs that often sound like a death metal band just blasting away to the end of time with the occasional start-and-stop frenetic bend just to snap their audience around. Augury are defined by the “technical death metal” label — not in the same way that the genre has grown and matured into something of an instrumental arms race, nor the more prefix-core-informed versions that many bands have found themselves attracted to, but as a group of frighteningly talented and progressively minded musicians who use the genre space not only to wander through a variety of heavy musical stylings but also to try in many ways to expand upon the death metal genre. Illusive Golden Age is only the group’s third album, but like its two predecessors it is absolutely stuffed with music — a benefit of a nine-year gap perhaps, but also something that Augury have made their trademark. Within the opening minutes of the album’s title track, you’ll have been whiplashed through not only Patrick Loisel’s aforementioned vocal variations, but also a veritable smorgasbord of guitar and plenty of bass wandering from Forest Lapointe, and it becomes quickly overwhelming. You can tell early on that Illusive Golden Age is going to be a disc you’ll have to dive into repeatedly, and likely will wind up with different songs on different days that you’ll enjoy most. Some days it may be the seven-minute orbital destruction of “Mater Dolorosa”, or perhaps the quicker-moving lethality of “Carrion Tide”. All the tracks have plenty to offer, and with nearly forty-five minutes’ worth of such songs, Illusive Golden Age succeeds in covering a ton of musical ground. There’s nothing quite as off-the-wall and out-of-nowhere as the closing few minutes of “Brimstone Landscapes” from Fragmentary Evidence, which in my world will forever remain the champ of Augury being out of their minds, but Illusive Golden Age packs in its own surprises lurking within the massive undertaking of the album as a whole. Which in a roundabout way brings us to a song like “Martime”. Like many of the previously mentioned songs, it is its own tech-death tour-de-force, yet it catches you off-guard because its opening segments have something of a thrash mentality, with the band quickly firing off a bending melodic line that has the bass following the guitar at points. It’s one of the few times when Illusive Golden Age is just brazenly a whole lot of fun and not just relentlessly heavy. The surprisingly melodic lead quickly gives way to the more recognizable death metal explorations that Augury are up to, but that melodic sensibility that defines the opening of “Martime” never quite leaves the song as a whole. It’s something oddly conventional on a disc that doesn’t really go by that standard, written by a band who have made a career out of contorting and breaking the genre mold to the point that the very genres that one can try tack onto them tend to break apart. “Martime” is one of only three songs on Illusive Golden Age that falls under five minutes, which gives it something of a laser focus in comparison to the sheer bulk of songs like album closer “Anchorite” or the aforementioned “Mater Dolorosa”. Fun fact: it is actually part of a three-pack of songs in the back half of the album that are on the shorter side, and that lead into the album’s closing song. 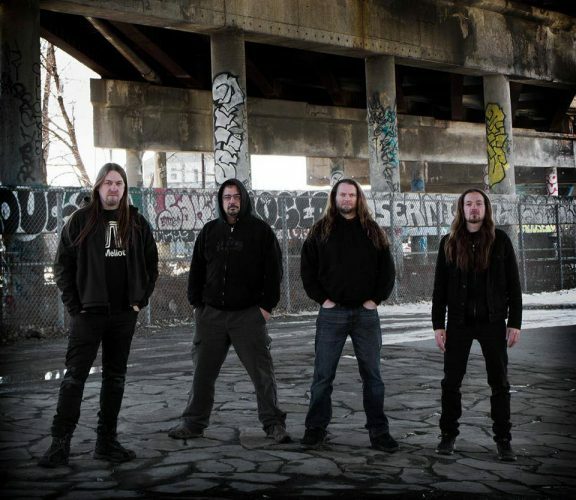 Illusive Golden Age is a very densely packed stew of extreme-metal genre-soup, where the term “technical death metal” is applied in large part because actually trying to list all the different influences and writings would become an exercise in futility. Of course, the technical aspect of the music is nothing to laugh at, and there’s a lot of brain-bending song structures throughout and very few times when a groove that the listener can latch onto will stick around for more than a handful of seconds. 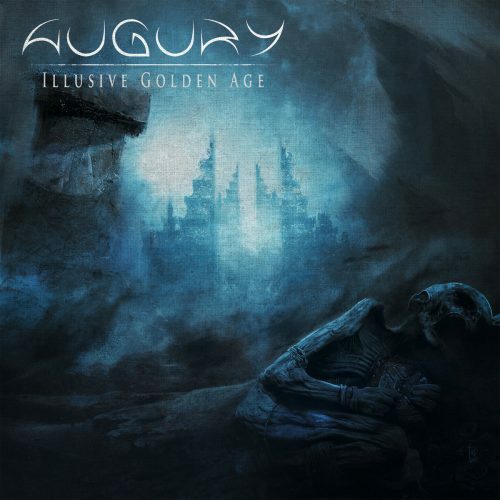 Augury try to push the sphere of their musical existence in many different directions, so much so that you start running out of ways to describe the band’s music as “Big”. The longer songs on Illusive Golden Age are gargantuan walls of sound, tuned low and made into behemoth-like automatons that more than happily throw their weight around with little fear of introducing the bizarre just to break things up a bit. Nine years later and Augury’s new album proves to be just as frightening an undertaking as their previous two releases, filled with so much material that there is almost no dead space between the atoms, an album you could drop on the floor and expect to have it crack a tile or two. But while Illusive Golden Age is an immense and intimidating undertaking, it’s one that, like the previous Augury albums, includes so much to discover that you can’t help but find different things to like each time you listen. My current obsession with “Martime” as of this writing may later give way to the speedier madness of “Parallel Biospheres”, or the fantastic closing solo of “Anchorite”. The rapid changes of pace throughout Illusive Golden Age make the whole disc into an adventure. Illusive Golden Age has Augury executing a flawless return from hibernation, effortlessly combining instrumental gymnastics and pyrotechnics with a sense of musical adventurism, and hopefully it rejuvenates the band enough that they will continue to stretch the tech-death genre as far as they can get it to go.